Into the Woods quite literally champions the importance of wilderness, with no other calendar like it! 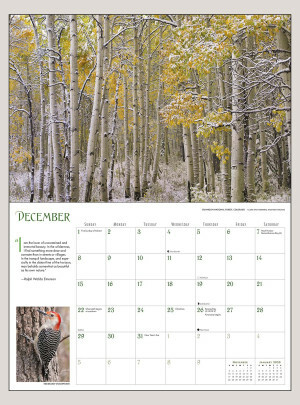 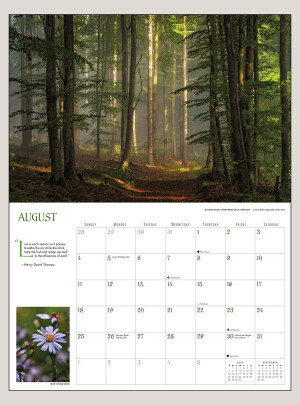 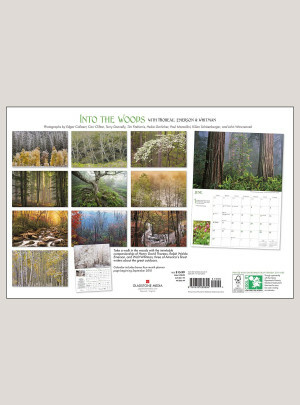 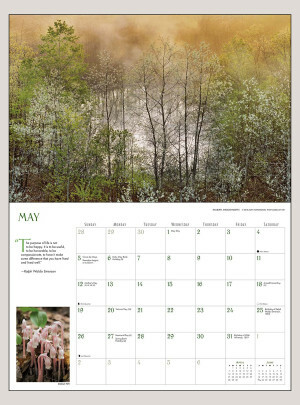 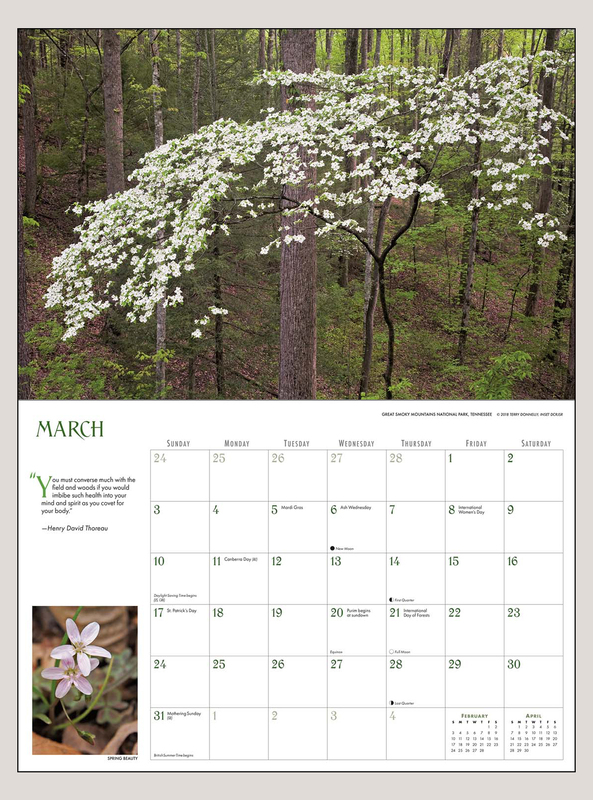 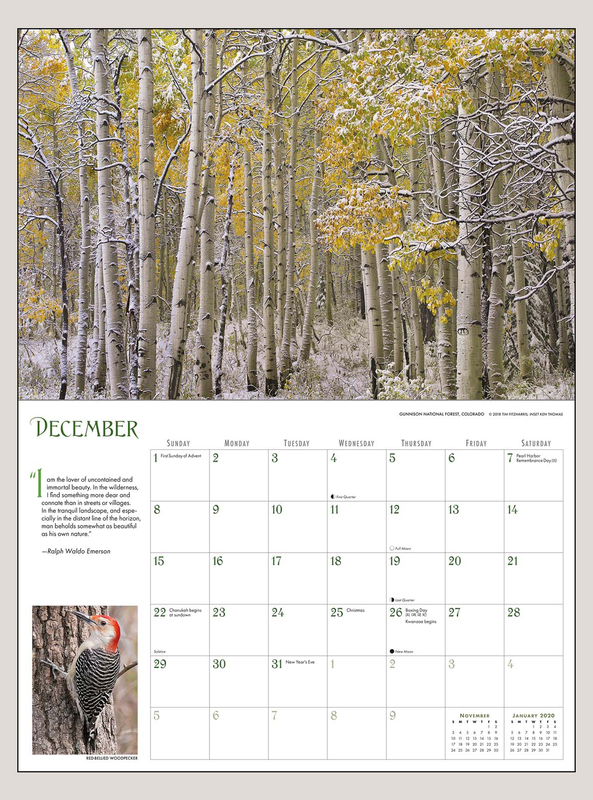 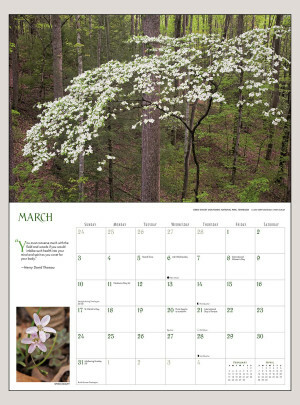 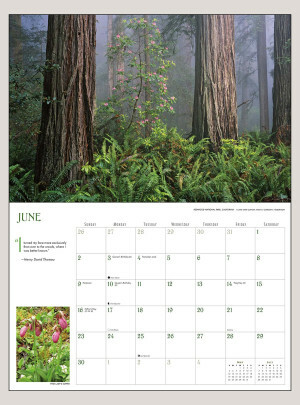 The extra-wide size—18 inches—of the Into the Woods calendar perfectly suits the nobility of forested nature. 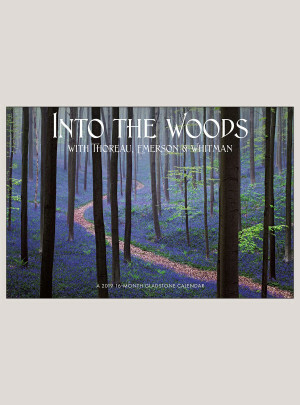 Take a walk in the woods with the inimitable companionship of Henry David Thoreau, Ralph Waldo Emerson, and Walt Whitman, three of America’s greatest writers about the great outdoors. Splendid views, unspoiled landscapes, secluded wilds, this calendar is perfect for anyone who wants to strengthen their ties to nature.